Again, responding to what people ask me to do this new amp the LDW 17/39 is in responce to the request to say make a 'the little brother' to the JJN 50/100 with a little twist. 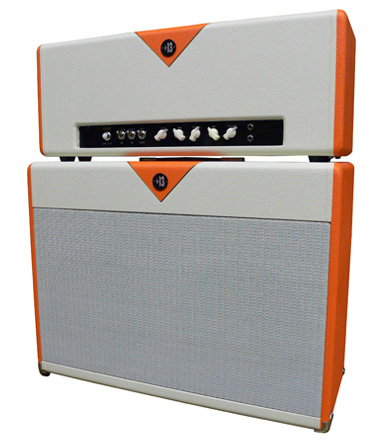 The LDW 17/39 offers all of what is described in the JJN 50/100 but runs "Class A" in the 17 watt lower power mode giving the player that classic creamy "Class A" overdrive with smooth compression offering a new twist to the wide range of, but improved upon, sounds we've come to expect from our favorite amplifiers from England from the mid 60's through the mid 80's. Just Killing it with a Divided by 13 2x12F cabinet.